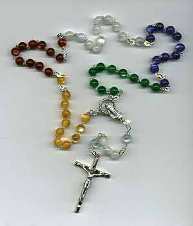 In the meantime, here are a couple of excellent links to Mission Rosaries! 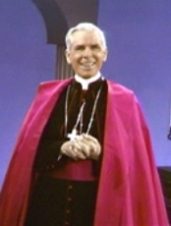 Archbishop Fulton Sheen, who was the Director of the American Society for the Propagation of the Faith, created the Mission Rosary for world peace back in the 1950's. It's story, and an online Mission Rosary can be found here. The Vatican also has a fine graphic explaining the Mission Rosary, here.